Heavy-Duty Drying Rack - 50 Shelves 45"x68"
Without a special drying rack, art projects can literally take over a classroom and leave you with no space while work dries. This drying rack lets you dry even extra-large art projects from an entire class while taking up minimal space. 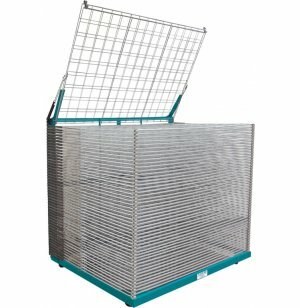 Built on a welded steel frame, 50 shelves provide a safe and sturdy resting place for a large number of projects as they dry. For smooth up/down operation, the individually adjustable shelf springs have a tension control feature. All shelves feature a rust- and solvent-resistant, powder-coated finish. 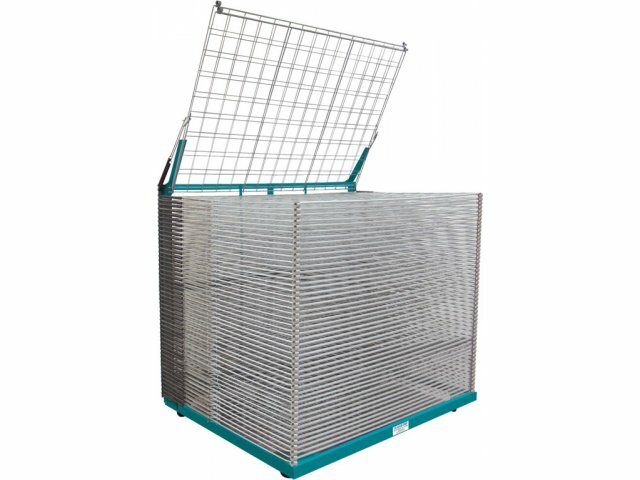 To promote quick evaporation, racks come with non-warping shelves spaced at 1" or 2" intervals. Quality-designed outside bumpers, two per shelf, permit the use of the entire shelf for drying.